Receive your bottle at home from beginning of 2020. Château Pavie 2017 is a First Growth of the Saint Emilion appellation produced from a blend of Merlot (60%), Cabernet Franc (22%) and Cabernet Sauvignon (18%). 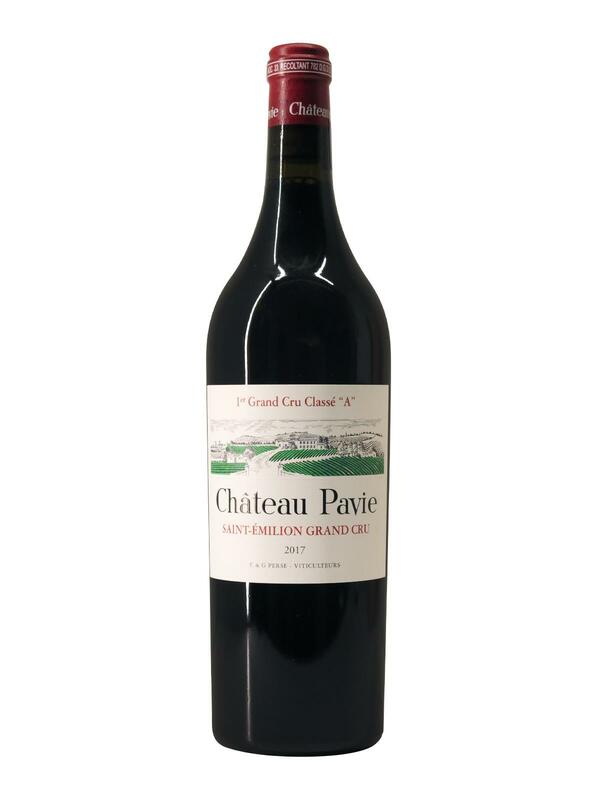 In the glass, Château Pavie 2017 has a very beautiful, very dark purple colour, almost black, and reveals a complex, opulent and intense nose of black fruits coated with roasted and floral notes as well as touches of smoked meat and asian spices. Medium-bodied on the palate, Château Pavie 2017 offers exceptional richness and a silky, velvety tannic structure. It is a powerful wine, releasing layers of blackcurrant, plum, and blueberry rolled in violet and warm spice flavors before unveiling a complex, elegant, and infinitely persistent finish. No doubt that the 2017 vintage of Château Pavie will be an outstanding wine!